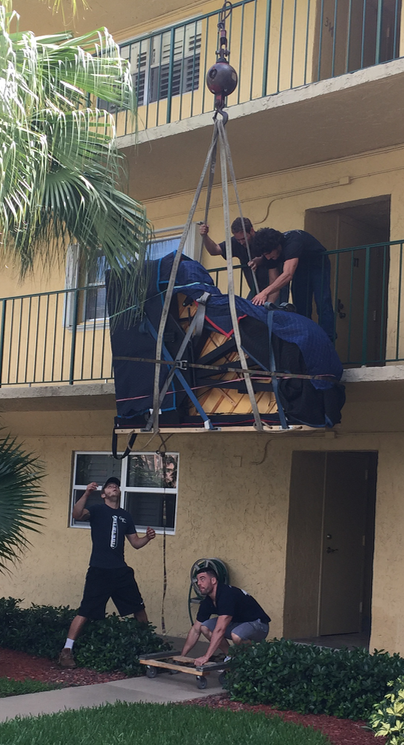 A personal note...the picture is of a crane moving my Steinway B out of our second floor condo in Fort Lauderdale. It's been a good run. I started the snowbird gig between Madison,Wisconsin (where I still maintain my university office) and Fort Lauderdale in 2005. MindBlog began in February of 2006. Over the past twelve years I've done ~9 piano concerts, a number of lectures on aging and the brain, and started a contemporary topics and ideas discussion group. The move to Austin Texas is occasioned by my desire to be closer to my son, and my 3 and 5 year old grandsons. Until recently they lived in the modest family house I grew up in. He has been professionally successful (check out praxisis.com), and has now moved into a larger house in an almost magical old downtown Austin neighborhood with 300+ year old live oak trees in the yards. It's front living room is large enough to accommodate the Steinway B, and I will play and practice there, hoping the grandsons might be influenced by what they hear. My husband Len and I will move into the smaller family house. I'm attempting to maintain a steady stream of MindBlog posts during this transition. Nice to see the piano go up and down on Mindblog! Best wishes for the move.